This Sunday, Dec. 2 at 2 pm, The Indypendent, its staff, volunteers and supporters, are going to be collectively granted sainthood in the Church of Stop Shopping by none other than the illustrious performerance artist and Indy advice columnist Reverend Billy Talen. 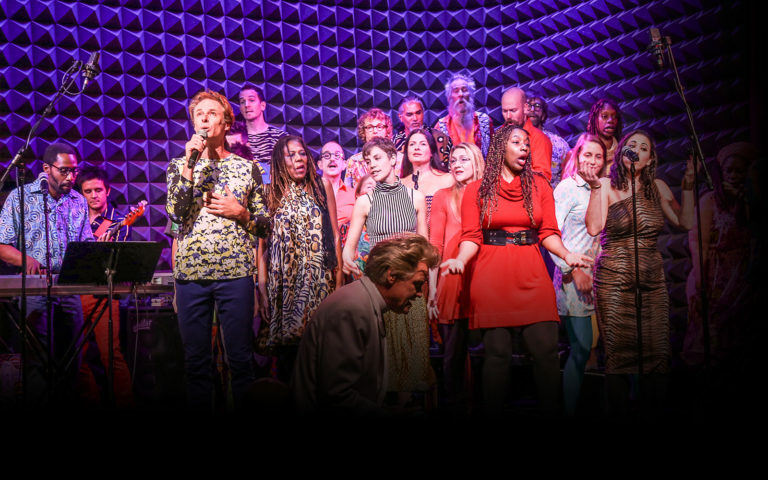 Each week during their annual holiday run at Joe’s Pub (425 Lafayette Street), the choir takes a moment to anoint groups and individuals that they deem to be doing, if not the Lord’s work, something good for the planet and the people on it. We are honored that they have chosen to recognize the many people without whom our rebel newspaper would not happen. 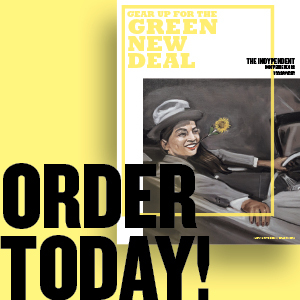 Past honorees include the New Sanctuary Coalition, ACT UP, SANE Energy, Brooklyn Anti-Gentrification Network (BAN), Families United for Racial and Economic Equality (FUREE), Street Vendors Project, The Point, Times Up, Amy Goodman, Chris Hedges and Laura Flanders. We hope you’ll join us. Discounted $10 tickets are available by entering the promo code CHANGENOW upon purchase. Photo: The Stop Shopping Choir in action. Credit: Public Theater.